This is the age of API-driven businesses and enterprises need to create great developer experiences to build an ecosystem for their APIs. Many enterprises now view developers as one of the most essential actors in their value chains—the people who translate digital assets into digital experiences that move the business needle. Google Cloud’s new eBook, Creating World-Class Developer Experiences, takes a deeper look at creating world-class developer experiences. Learn about best practices for engaging developers and how to launch a developer portal that speeds adoption or your API products. 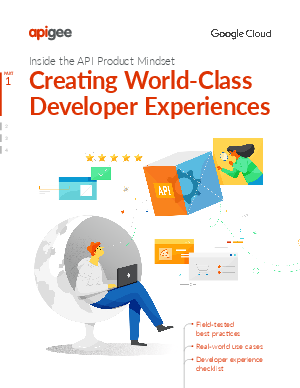 Explore how to delight developers and grow API programs with field-tested best practices, real-world use cases and a checklist to help your team get started.